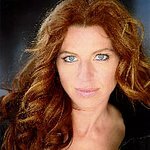 Actress Tanna Frederick – co-founder of Project Save Our Surf – recently talked to LookToTheStars.org about the charities and causes closest to her heart. What is Project Save our Surf? What events and life experiences motivated you to start this organization? Project Save Our Surf is a water conservation and education organization. We promote environmental conservation through education. In addition, whenever we can we do beach clean ups and encourage the community to get involved. The part of Project Save Our Surf that I am most proud of is our water filters that are installed around the world. The origin story of Project Save Our Surf is simple. I was surfing and when trash was floating next to me nearly every time I went out, I decided something had to be done. I started Project Save Our Surf with fellow surfer, Shaun Tomson. What makes Save our Surf unique from other clean water, environmental organizations? We take more of a grassroots approach to PSOS. Project Save Our Surf depends on its volunteers on the ground. Because of our approach we have the ability to affect communities directly. We work with a lot of local organizations to create change. A great deal of surf clubs help and support us with beach clean­ups. Surfing is definitely a major component of Save our Surf, and you speak on the healing benefits of water activities. Please explain how water activities, such as surfing, benefits one’s mental and physical health. Surfing is an amazing activity. It strengthens your back, core, arms, and legs. The emotional benefits almost outweigh the physical benefits. Surfing relieves stress. It truly is one of the most relaxing activities I have ever tried. In what ways has Save our Surf influenced environmental engagement? Our ongoing workshops, camps, and clean ups help bring everyone together to engage in what we can do to help our environment. There is always something we can do and we try to implement those ways in fun and positive activities that are easy for people to adopt into their daily routines. Your organization has local as well as global programs and initiatives. How does clean water issues vary around the world? How does Save our Surf tackle specific water or environmental concerns locally and globally? Locally, we are dealing with a severe drought. Project Save Our Surf tries to teach people the power of conservation and what kind of difference they can create with the smallest of efforts. Globally, it is also important to conserve – but some communities don’t have much to work with in the beginning, so we try teach to repurpose what they have. Most of our efforts globally have been to install water filters in villages with dangerous water conditions. For example, in Ben Tre’, we are installing water filters, educating them on how to keep them clean and how to use them. Each filter we install gives 50 people access to safe water. You are an avid runner, and you participate in numerous marathons to increase awareness of specific causes. Running seems very different than surfing. What is your attraction to running, and are these two activities as different as they seem? Running is a great way to stay in shape and surfing is more for strength. I love participating marathons and trying to obtain new personal bests. Running gives me clear goals. Where as with surfing, I tend to go out for the release of tension. I love being in the ocean. In what cause marathons have you participated? What upcoming marathons will you be participating and what causes will they support? Over the years, I have supported NAMI (National Alliance on Mental Illness) and Project Save Our Surf. Running for a cause makes each marathon a little more special. I feel like I have to goals to reach, my PR and my PR raising money for the causes. I plan on running the Rock and Roll Marathon in Los Angeles and the California International Marathon in Sacramento. I will be supporting Project Save Our Surf during both races. You recently announced Save our Surf’s partnership with DNA Health Institute. What is the importance of this partnership and what will this collaboration accomplish? DNA is a great company, we are so, so grateful for their partnership with us. DNA’s products are natural products that are chemical free. They are donating a portion of their sales from their sunscreen and nourishing lotion to us. You’re originally from the Midwest, particularly Iowa, where there are no large bodies of water comparable to oceans. For your supporters and fans who are interested in surfing, but are not near a large body of water, what do you suggest as an alternative? First, find a lake or body of water! There is a large variety of alternatives to surfing once you have water. You could try water skiing, wakeboarding, and paddleboarding. If you are a land lover, skateboarding is a great way to feed your surfing need. We have a few fun events in September! On September 9th, we are partnering with Dos Pueblos Surf Team for a beach cleanup in Haskell’s Beach in Santa Barbara, CA at 3:00 pm. On the 19th, Project Save Our Surf is partnering with Malibu Surf Association for California Coastal Beach Clean Up Day at Malibu. I am really excited we are doing a reading on March 13th, 2016 at the Labero Theater in Santa Barbara and all profits would be going to Project Save Our Surf. All of our events and details can be found here. How can we support Save our Surf and clean water initiatives? The biggest way you can support is going to ProjectSaveOurSurf.org. There you will find our latest events and donation page. The best way to support us right now is donating to our cause. We are trying to raise funds to return to Vietnam and install more water filters.